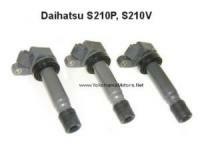 Daihatsu Hijet Ignition Coil (1) S200P/S210P/S200V/S210V trucks & Vans. Sold individually. Include chassis number when ordering.